The mower is almost camoflauged into the wall. I like it! 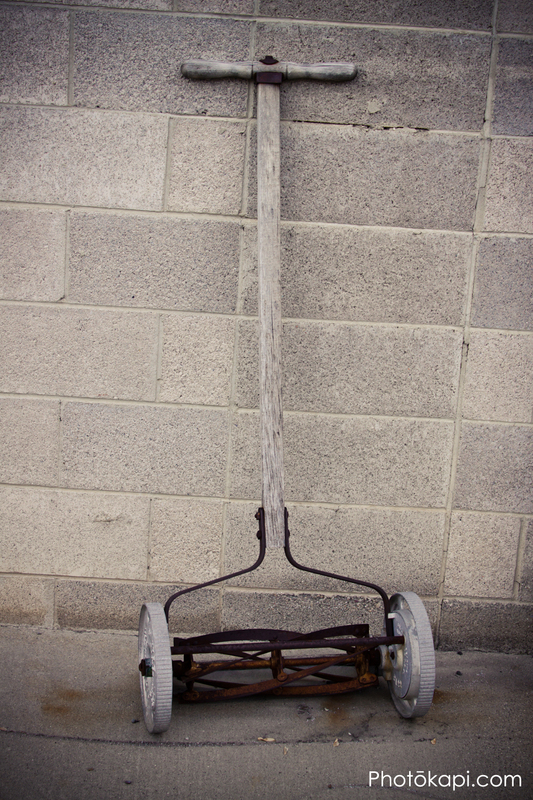 So pertinent that the gray mower handle is against the gray wall….it makes mowing the lawn with one of these old muscle-busters seem so dull and boring. 🙂 Cuz it was!